Welcome to the fifty-seventh stoat snippet! 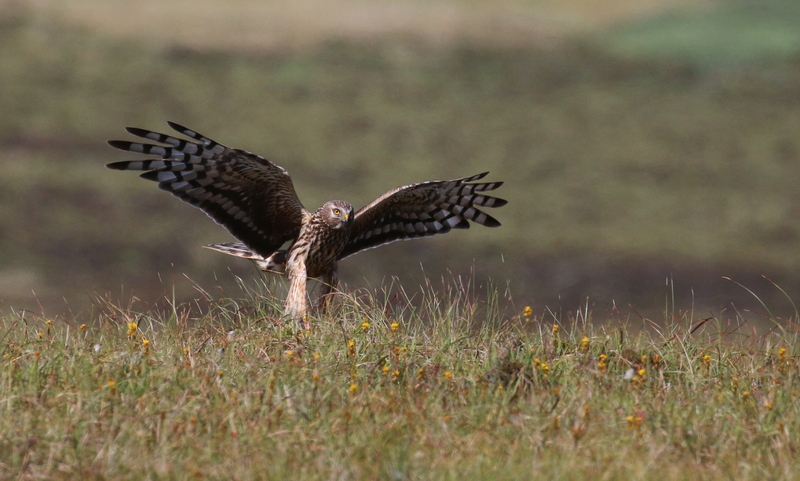 These snippets are a short update on the Orkney Native Wildlife Project, which is a partnership between RSPB Scotland, Scottish Natural Heritage and Orkney Islands Council, and a chance to address any concerns that folk have raised with the project team. As you have hopefully already heard we got the funding and it’s go, go, go!! Read more about that here. What that means is that we will be very busy over the coming weeks and months starting to recruit the new project team and ordering the traps we need for the eradication. But our biggest priority now is getting land access permissions in place on Orkney Mainland and the connected islands. We really need folk to get in touch with the project. So, if you own land in Orkney, even if it’s just your garden, and we haven’t spoken to you, please email us at ONWP.landaccess@gmail.com or call 01463 701669 as soon as you can. Ange and Macca have now left Orkney. We would like to say a massive thank you to everyone who welcomed them and made their work easiest. They really enjoyed their adventure in Orkney and we are very grateful for the expertise, advice and guidance Ange shared. You can read a summary of their findings in last week’s snippet. We have made a few changes to our trapping efforts based on their findings and Ange’s advice. The additional traps for the incursion response on South Walls are nearly all out and we will continue to extend the biosecurity trap network in place in both South Walls and Hoy as needed. We have also finished tweaking the layout of the biosecurity traps in five coastal areas of Mainland to make the lines of defence more robust and the biosecurity trap network on Graemsay is also in place. These traps will be checked once a month. 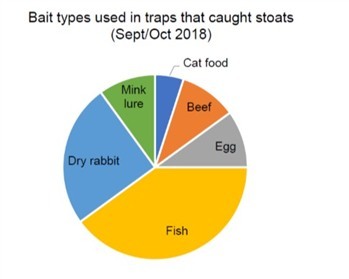 We have plans to get additional traps put out on other islands including Rousay, Wyre and Flotta to provide biosecurity to reduce the spread of stoats and an early warning system. The fifth check of the trapping trial is underway and Rebecca and Carmen started yesterday checking traps at Wideford and Hobbister. We promised you an update on the results of the autumn trapping trials so far and that data is now summarised. Over the last four weeks, we have caught 20 stoats – five at Grimbister, seven at Wideford and eight in Hobbister. Sixteen were male and four were female and twelve were caught in heathland and eight in farmland. Eighteen were caught in the double set traps where you have two traps in one housing. And a wide range of baits were successful (see diagram below). The fifth round of checks will continue today and tomorrow. The October check of the Biosecurity traps is nearly done. Stromness, Orphir and Rendall are complete and we are checking the traps in Evie today. We have finished rearranging the last few traps to create the two lines of defence and we will continue to make tweaks to make this line of defence as robust as possible to try to prevent stoats moving from the mainland to other islands. Shapinsay: Following Ange’s advice, we are reducing the frequency of traps checks to monthly, so we will be back out in Shapinsay in a couple of weeks’ time. However, it is critical that people keep an eye out as a stoat could arrive at any time. Hoy: The weather has caused us some issues this week as the boat hasn’t been running, but we will back to do the next round of checks and put the final additional traps in South Walls as soon as we can. Please keep reporting any potential sightings though as they are crucially important. Heather took this nice picture of a caterpillar when setting up traps in South Walls? 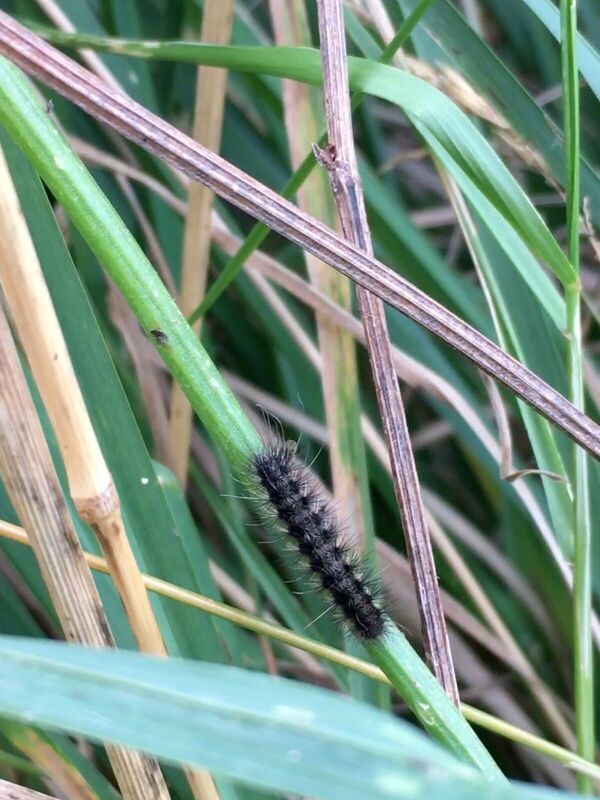 Can anyone help identify it?